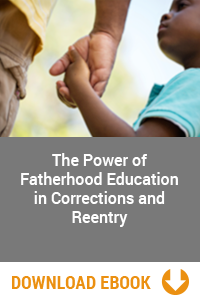 Join the Father Engagement Learning Community™. 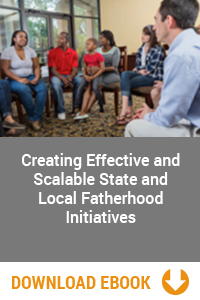 Get advice, share your experiences and successes with other professionals serving fathers and make your Fatherhood Program the best that it can be! 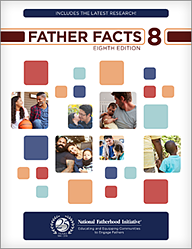 get the facts to support your fatherhood program or initiative with Father Facts 7. 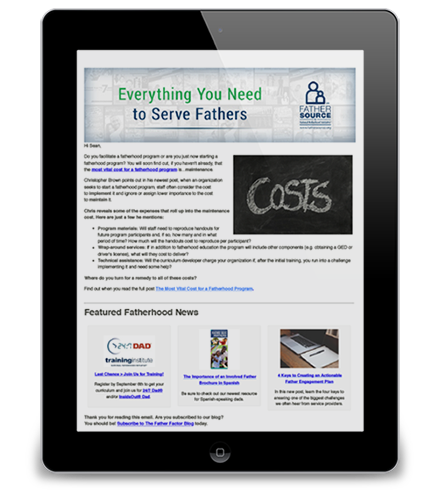 How Father Friendly Is Your Organization? 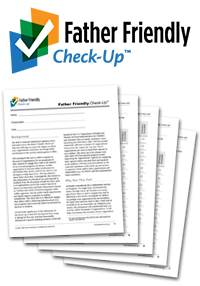 See how you score on the 4 organizational assessment categories of the Free Father Friendly Check-Up™. 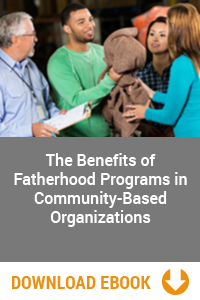 Learn how to work with fathers or start a formal fatherhood program. 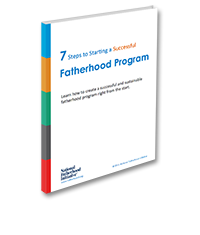 Great for both beginners and for programs looking to increase their work with fathers! 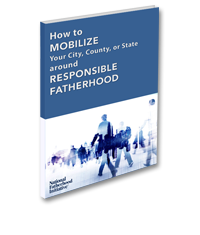 Learn about this unique, structured approach to guide your organization or government agency + partners in mobilizing your city, county, or state around responsible fatherhood. 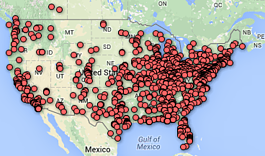 Looking for organizations offering NFI programs + resources in your area?